Ravichandran Ashwin's instinctive decision to ‘Mankad’ Buttler with his penultimate delivery caused a split in social media and on TV channels but he was focused on ensuring that he managed the resources well in the remaining overs. 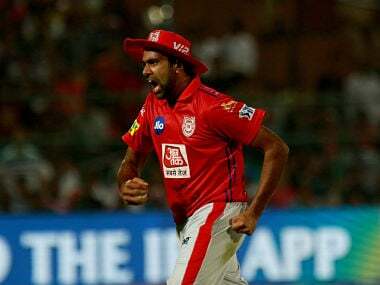 Kings XI Punjab skipper R Ashwin sparked a raging debate through Monday night by stopping in his bowling stride and running out Rajasthan Royals batsman Jos Buttler who left the sanctity of the crease under the belief that the ball would be delivered. Yet, that is not the only reason he must be remembered for in the match. 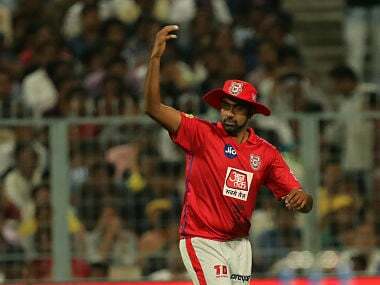 Ashwin was on top of his primary craft, bowling superbly, and led his team well under pressure to help Kings XI Punjab script what was starting to become an improbable win at the halfway stage of Rajasthan Royals’ pursuit of the 185-run target. Buttler was leading an assault on the bowlers and it seemed little could stop him as he caned the faster bowlers for plenty of runs. 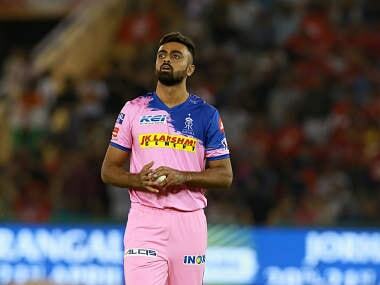 Of course, Ashwin was helped by fellow spinner Mujeeb-ur-Rehman’s big heart, first when having to bowl to Buttler during the power play overs and then in the 18th over when Rajasthan Royals had Ben Stokes in the middle and needed 35 off 18. The Afghanistan lad employed conventional deception to make Stokes pay for his greed and Rahul Tripathi by building pressure. Mujeeb was one of Ashwin’s go-to bowlers last season until he pulled out with an injury in the latter half of the league. 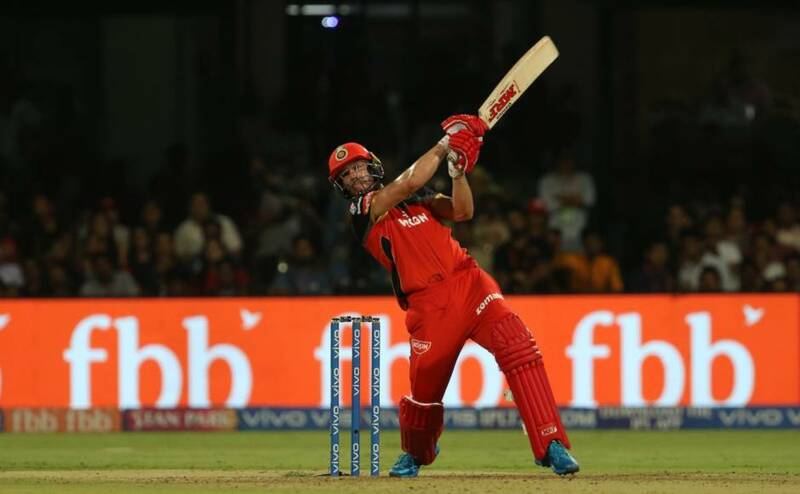 He returned to the Kings XI Punjab line-up and was immediately making a powerful statement about his importance to the team’s plans even this season. Along with Ashwin, he took some load off the three fast bowlers. 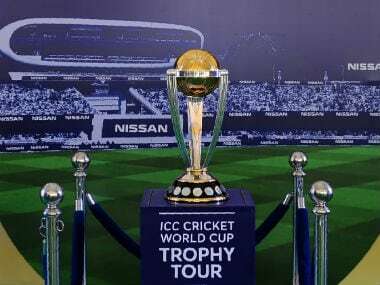 To be fair, Ankit Rajpoot soaked in the pressure of stepping up the plate as the fifth bowler – and having to make up for the expensive left-arm paceman Sam Curran – with an air of a seasoned homegrown professional. It was never more evident than when he chained Steve Smith in the 14th over when he had to bowl successive free hits. Indeed, well as the faster bowlers handled the punishment and persisted manfully in seeking the right lengths on a track on which low bounce was perhaps their only ally, it was the spin twins, Ashwin and Mujeeb-ur-Rehman who did the most damage for Kings XI Punjab. Their calm approach even when the scoreboard was against them was a quality that spread around. It was not the best track to bowl on. 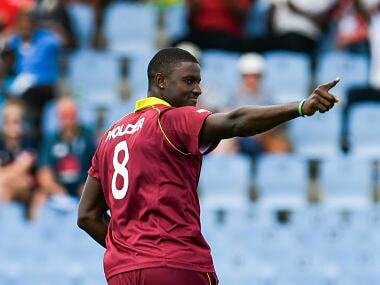 Nor did the spinners have the privilege of coming in to bowl after an early wicket or two had been claimed. In fact, Buttler, who had spent 20 overs behind the stumps, was seeing and striking the cricket ball so well that it seemed like he was facing a rampaging bull in a China shop when Ashwin came on the scene immediately after power play. The one over that he bowled on either side of Ashwin’s last two overs was a good illustration of how quickly he was able to adapt to the conditions and the batsmen in the middle. Those three overs saw Rajasthan Royals pick up merely 14 runs, pretty poor returns for a side that had was breezing at 9.6 runs an over until then. As for Ashwin, on a night which saw boundaries flow in a torrent – as many as 33 fours and 12 sixes were hit in this high-scoring game – it is a telling comment that he did not concede a single boundary. It is not as if he bowled many dot balls either. 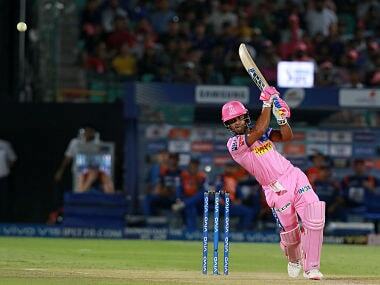 He found the optimum mix of deliveries to concede 16 singles to batsmen of the caliber of Buttler and Sanju Samson. He earned their respect after he bamboozled his opposite number Ajinkya Rahane with a carrom ball that whizzed past the bat and disturbed the timber behind. It was the kind of delivery that established his mastery on the track and forced Buttler and Samson to not take undue risks against his bowling. Even after he was done with his four overs and had succeeded in choking the run flow, Kings XI Punjab were not out of danger. His instinctive decision to ‘Mankad’ Buttler with his penultimate delivery caused a split in social media and on TV channels but he was focused on ensuring that he managed the resources well in the remaining overs. You could see that his inputs were crucial to the faster bowlers, including Curran who was punished each time he came on to bowl. If they bowled better lengths than they had managed with the new ball, some of the credit would belong to Ashwin. 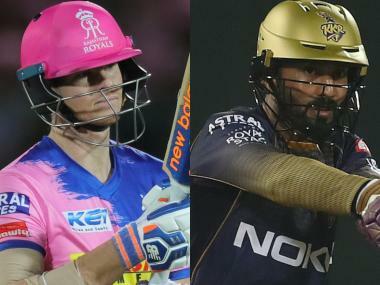 Rajasthan Royals' challenge collapsed in a heap in the final five overs Of course, it needed a magical catch by KL Rahul to dismiss Steve Smith at a time when the Australian was marking his return to IPL with a couple of confident blows. That kind of urgency and commitment, leading to brilliance, on the field was a result of the team’s captain being on his toes and contributing to building pressure on the home side.